The 21st century has witnessed a flurry of innovations going mainstream. E-Commerce, Cloud, Mobile, Big Data, DevOps, Search, Social, Artificial Intelligence and Machine Learning, Virtual Reality. Be prepared for the new reality. One where businesses either disrupt or are disrupted. In this new economy of digital transformation you need a digital partner that keeps you on the right side of innovation. Let’s talk. If you manage a direct to consumer platform generating high volumes of disparate data we can help setup and operate a big data analytics production platform that can manage all types of batch, interactive and real-time workloads. We help you harness disparate data sources to create and capture more value added, leveraged data analytics. We can analyze data of all shapes and sizes, located anywhere in your enterprise or beyond. 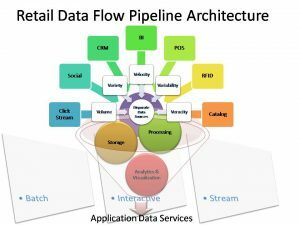 Our Data Flow Pipeline Platform offers a scalable and low latency architecture using a broad range of open source frameworks including Flume, Kafka, Hadoop MapReduce, HDFS, HBase, Hive, Spark and others to customize a pipeline tailor made for the workload whether batch interactive or real-time. We help enterprises, mid market on up to fortune 10 companies foster DevOps culture and principles. Doing so helps your teams gain software feature development velocity and an optimized path to production. Our DevOps experts help you and your teams do continuous integration and continuous delivery the right way. By partnering with Newstar, you get a reliable partner who understands the ins and outs of establishing a reliable DevOps platform that facilitate your delivery teams to do both CI and CD. We understand DevOps culture. We understand enterprise. We know what it takes to infuse one into the other. We take legacy systems and processes, steeped in water-agile-fall methodologies and monthly releases and transform them into empowered teams using self-service DevOps platforms and tools. Releasing Daily. We do ecommerce. Having been at it for over a decade, we understand where the industry is, the innovations propelling the winners and the mistakes leaving behind the losers. We partner with boutique mid market retailers to manage all or parts of their ecommerce digital ecosystem: right from choosing the right architecture, helping make build vs. buy decisions regarding various aspects of the commerce ecosystem to managing daily operations with 4 9s uptime. Retailers, small and large, are challenged by the shift to digital and mobile, declining store sales and the decreased margins of operating online. When you partner with Newstar you get the most cost efficient, effective and affordable ecommerce managed platform that meets your needs today and scales with your growth. Our relentless focus on our core technology framework – cloud, data analytics, mobile and social – combined with our deep subject matter expertise on all things ecommerce – from marketing CRM, core commerce to order management systems and beyond, ensures that you have a trustworthy partner that will help your business grow. The benefits of leveraging this powerful frameworks allow us to focus on key aspects of your domain problem including modeling data and selecting efficient formats for data persistence, establishing an effective plug and play integration between multiple and wide ranging data sources and processing pipelines, and enabling ad hoc interactive querying and data mining of the processed data as well as algorithm driven machine learning strategies to increase and grow important business KPI’s like AOV, add to cart, checkout conversion, etc. We can combine multiple sources and present data cohesively on an optimized Dashboard for better decisions making. We help you gather, interpret, and deliver the insights that shape timely and smart decisions throughout the C-suite. We work with you to get Right Data to Right People, transforming Big to Agile.